I don’t know about how you feel about the current state of robotics but I was hugely surprised when I started exploring the state of art. AI is a field which has never lived up to its promise – real or perceived. For example if you look at Arthur Clarke’s “2001: A Space Odyssey” (novel & movie) written in 1968 you will realize that it is way … way off the mark. But, just maybe, things might change in next 10 years – and you may actually own your personal robot! When asked it can even tell its own height (4 ft 3 in) and weight (54 kg)! Check out these videos on YouTube — they are quiet amazing! Are there other similar Robots? HPR-4 – A female humanoid robot, created by the National Institute of Advanced Industrial Science and Technology – a Japanese research facility. NAO – An autonomous, programmable humanoid robot developed by Aldebaran Robotics, a French startup company. 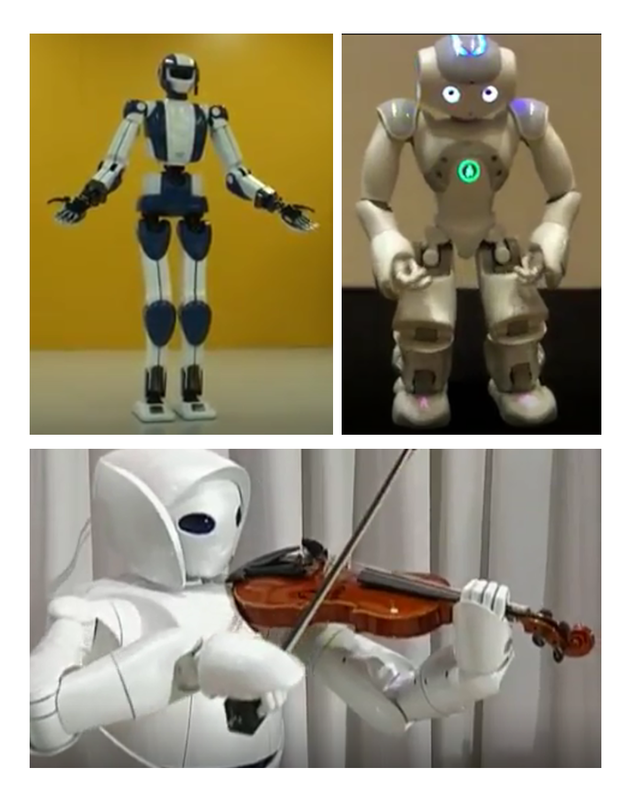 Partner Robots – From Toyota which among other things can play violin. World’s Top3 Humanoid Robots – Asimo vs HPR-4 vs NAO! As you have seen so far, all the robots resembled humans. They have two hands, two legs and a head. They are called humanoid robots. But robots come in all shapes and sizes. Check out these videos on YouTube. Whatever we have seen so far are autonomous robots. Not all robots are like that. Some of them augments our strength or cover our weakness. For example you have the Tele-presence robot (from Anybots) which is an extension of video concerning. This robot can move around in 2 wheels, can see, hear and speak. You can control it from you PC sitting at a remote location. You can have a tele-presence in a meeting or have an informal chat with a colleague. You also have robotic support (Tek RMD) that replaces wheel chair and brings freedom to paraplegics. For the military you have HULC the hydraulic-powered anthropomorphic exoskeleton (Lockheed Martin) which enhances the strength of a soldier. Some robots are for mundane use like the robot vacuum cleaner (Roomba) which not only cleans the room by itself but also goes back to the charging station and charges itself. While there are scary implication of what can happen when robots are deployed for warfare. 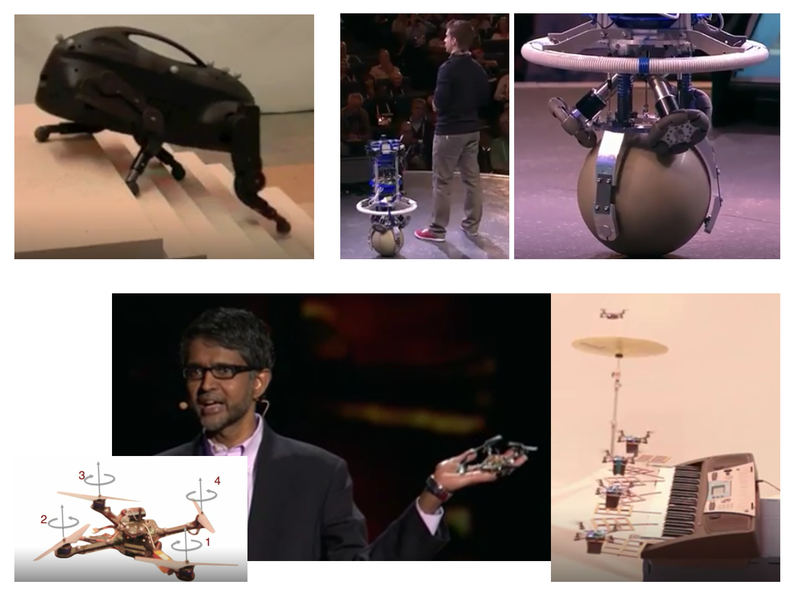 Do listen to the TED talk – Military robots and the future of war by P.W. Singer a political scientist. Will I ever have my personal robot? Let us do some back of the envelop extrapolation. Let us assume that Moore’s law will hold good for robotics also that is the robot power will double every 2 years. Alternately, let us assume that every 2 years price becomes half. 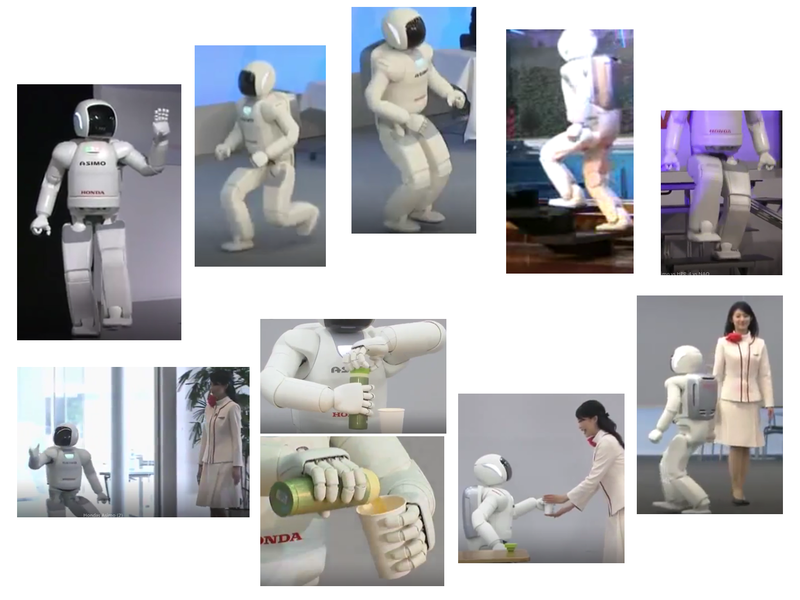 If Asimo was available in the market it would have costed around half a million dollar. By 2020 you can expect the price to come down to about US$ 30,000 – around the same level of a high end car. Therefore, in about 10 years’ time there is a possibility that you might have your personal robot! You would be debating if you should buy a car or a robot. Such robot will obviously be connected to some cloud service and part of the computation would be done in the cloud. The robot will know more about your behavior and every marketer would want that data. The social impact may be more than what we can imagine today. The internet revolution may look very mild. The field has become so vast and diversified…a small catalyst may make it explode. Some times it looks like it is not matured enough. Thanks for the posting. Though, I cannot see the benefits of mimicking humans in robotics unless we want to confuse humans with those fake humans–robotics. It seems to me that Japanese are wasting their resources.